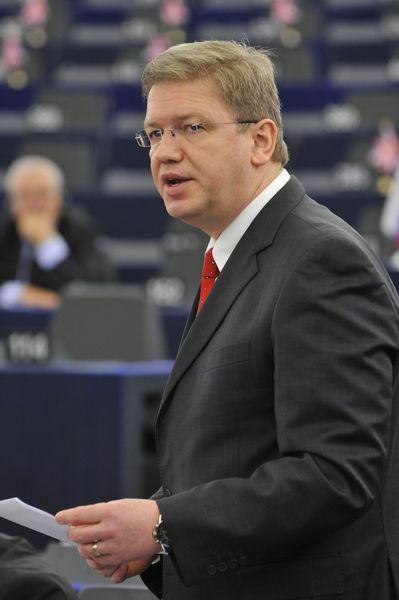 "2012 will be a crucial year for the progress of Bosnia and Herzegovina on the path toward the European Union", said on March 14 EU Enlargement Commission Stefan Fule in the European Parliament during the debates on a resolution about Bosnia and Herzegovina, drafted by Doris Pack, MEP (EPP, Germany). After the heated debates on the EU future of Macedonia and then the extremely positive dialogue about the progress of one of the most developed democratic countries - Iceland - Stefan Fule announced with sorrow that it was hard one to be positive when speaking about Bosnia and Herzegovina. "There is light but there is also shadow". Indeed. However, the big shadow is of Europe's conscience, as Europe acted short-termist when seeking a solution to end the bloody war in Bosnia 1992-1995, which ended with the Dayton Peace Accord, the purpose of which to make all the three different religious and ethnic communities live in peace is still not fulfilled. Last year the EU extended the mandate of the EUFOR/ALTHEA mission to insure itself, in spite reporting that there is no longer a threat for the security of the country. 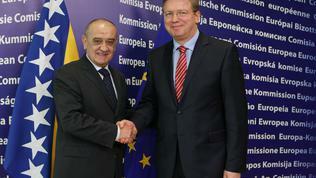 As of June 2012 will be suspended the EU police mission in the country as well. After 16 months without a central government in February 2012 the parliament of the triethnic community has approved a new central government. Probably for all these facts Commissioner Fule thinks 2012 will be crucial for the future of the country, because now all conditions to start the state building are available for Bosnia. But the big question, which sounded the other day in the plenary in Strasbourg, is whether Bosnia has the will for a life together. 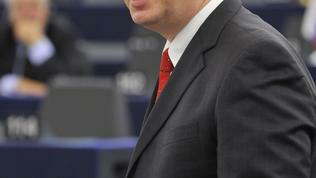 The question was asked by Ewald Stadler, an independent MEP from Austria. "We must recognise very soberly that there is no will to live together. There is no will to have common BiH identity in this country", he said, thus reaffirming the hardly emerging doubts that this type of solution for Bosnia is not the most appropriate one for the future. Almost 2 years ago the Bulgarian foreign minister mentioned that it was time Bosnia to go beyond Dayton and to start taking care of itself. No one, though, is daring to touch this deep wound, which has just started to cover with a thin layer of skin. Especially at a time when calmness was toughly patched with the conclusion of several agreements between Serbia and Kosovo, thus unclogging Serbia's path to European membership, and Kosovo's to visa-free travel to Europe. The Balkans still remain a powder keg and this is why more than ever they need Europe's help, not its back. 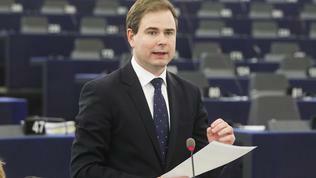 Therefore, some opinions expressed the other day in the European Parliament raise some serious concerns. 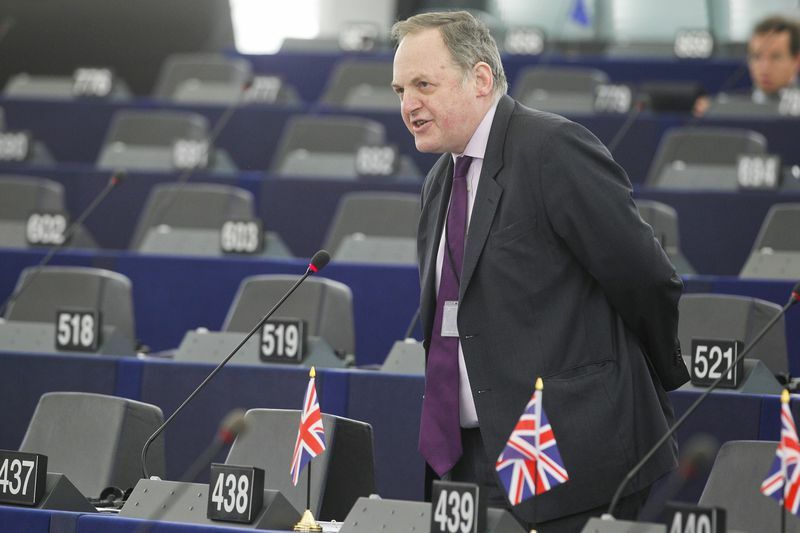 Such was the case, for instance, with a British MEP, who quite openly raised the issue whether it was worth, purely in financial terms, Europe to deal with Bosnia since the results so far were not satisfactory and even disappointing? By far, William Dartmouth from the group Europe of Freedom and Democracy said, more than a billion euros were poured in Bosnia and yet more money will come. Britain is a poor country, he added, and cannot afford this. 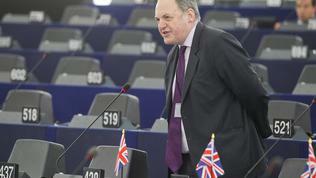 And in exchange for what, the MEP again asked - for cultural and ethnic diversity? "We already have enough of that in Europe". Britain could be having enough cultural and ethnic diversity but in Bosnia this is about something totally else, as it becomes clear from the voted on Wednesday resolution. The country's main problem is the lack of a budget for this year because of the impossibility to form a government for more than a year. Yet decentralisation is to be done and administrative capacity building, through which the financial aid from the EU to be absorbed. 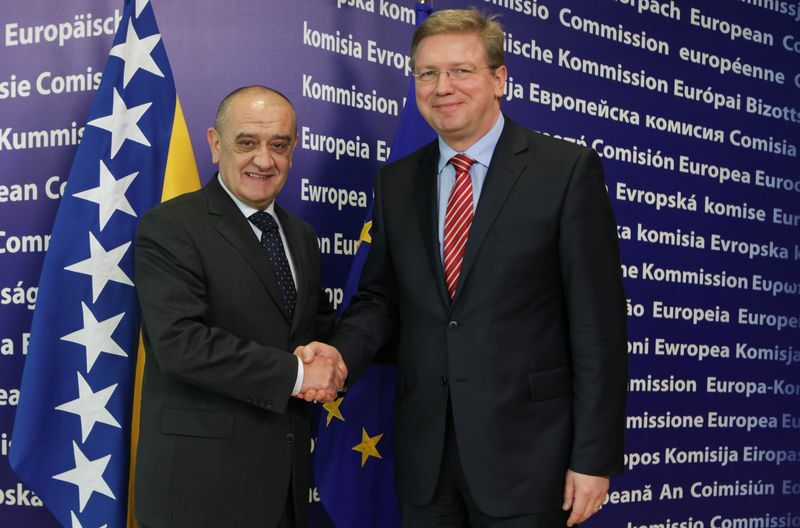 Brussels will keep its strong presence in the form of the newly appointed special representative of EU Peter Sorensen, who will in the same time perform the role of a head of the EU mission in Bosnia. 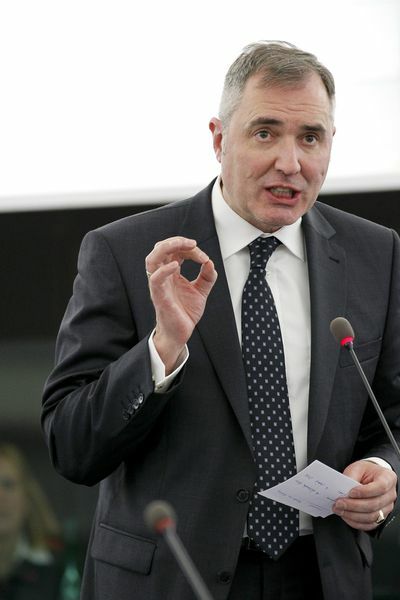 In the resolution it is pointed out that it is necessary Bosnia to have sufficient legislative, budgetary, executive and judicial powers in order to fulfil the criteria for EU accession. The constitutional reform remains the most important one at this stage in order to allow an effective and fully functional state. 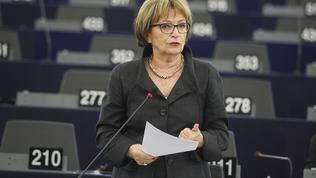 As Romania's MEP Norica Nicolai (ALDE, Romania) noted, "We must avoid a failure state. 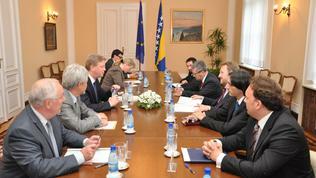 We must increase our support in BiH". Still, she added, the country has problems with war crimes and impunity still exists. 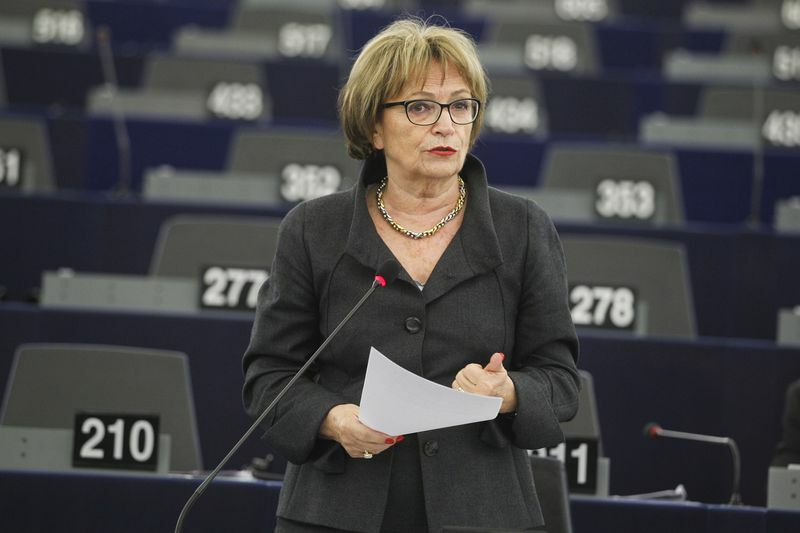 One of the problems that sparked heated debates in Strasbourg was the inclusion in Doris Pack's resolution of the threat of Islamic fundamentalism in Bosnia. The resolution calls on the Bosnian authorities to fight extremism, religious hatred and violence in close cooperation with the international community. 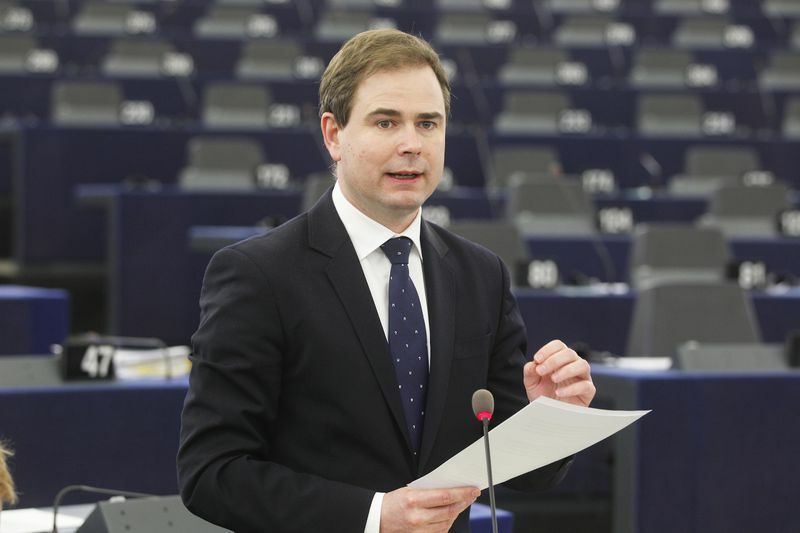 "[EP] is concerned about the extremism of Wahhabites along with all other extreme tendencies in the Western Balkan region". 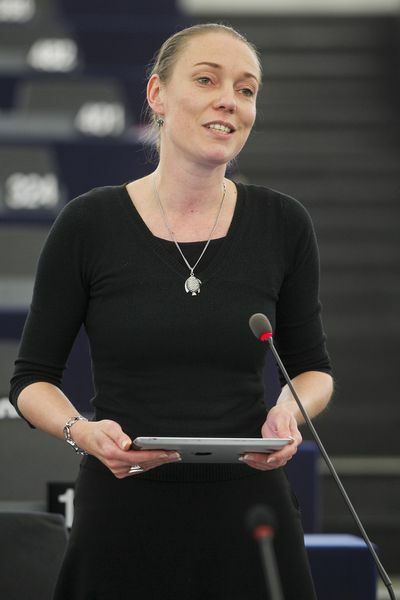 This text caused a lot of controversy after Dutch MEP from the group of Greens Marije Cornelissen pointed out that not less dangerous was the Christian fundamentalism in some parts of Europe. According to her, the resolution should not quote a specific form of fundamentalism because all forms are dangerous. She also said that all Muslims in Bosnia and Herzegovina were moderate but acknowledged that undoubtedly there was extremism in the Balkans. Ewald Stadler answered that wahhabism had to be mentioned in the report, and Bastiaan Belder from the group of Europe of Freedom and Democracy (Netherlands) asked what was the European Commission doing to address those fears of extremist wahhabism in the country. The resolution also calls the rights of women to be ensured and for gender equality. A significant step in this direction will be made with the reform of the educational system, which is fragmented and unsystematic. There is an entire chapter in Doris Pack's resolution dedicated to education. "Considering the vital role of education in creating a tolerant multi-ethnic society, [EP] urges all governments in BiH to promote an inclusive, non-discriminatory education system, and to eliminate the segregation of different ethnic groups (two schools under one roof) by developing common education programmes and integrated classes across the country". Doris Pack defended her resolution by pointing out that in Bosnia in only a few weeks time such things happened that were impossible to happen for years before. 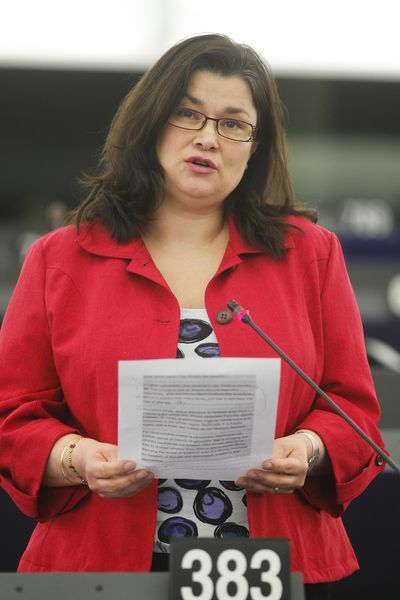 Her colleague from the group of Socialists and Democrats Emine Bozkurt (Netherlands) supported her, saying that with the new government significant progress was registered but a durable solution needed to be found. She said, though, that "if you are already late for the train, small steps will not help you catch the train. 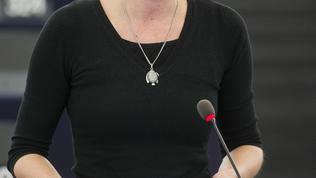 If BiH wants to apply for candidate status in June, this needs bold actions", the Dutch MEP concluded. It is a fact that at the moment the EU has enough problems of its own, related predominantly to the survival of the common currency. It is also a fact that the romantics from the unification, with which it was thought that many injustices were repaired from the stormy European past, is gone and recently the deficiencies surfaced - Bulgaria and Romania are still far from fulfilling a major criterion - rule of law, fight against corruption and organised crime - because of which the next countries - Macedonia and Montenegro will start negotiations backwards. Hungary also proved not sufficiently ripe for the democratic needs of our time. But Bosnia should not be considered a failed state. This is a country-compromise, with which the end of a brutal war was put in the end of the 20th century. This is precisely why the efforts for it should be much bigger than just tell the country what is wrong. 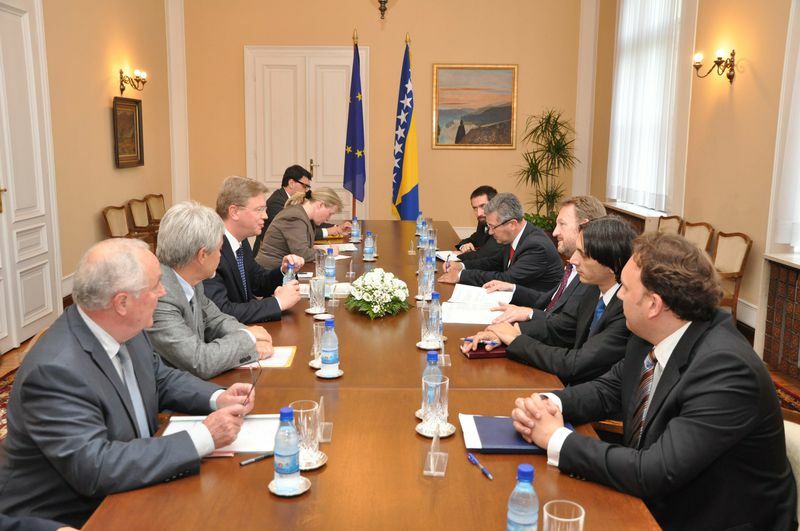 Alas, no matter of the additional expenses and efforts, Bosnia's statehood still needs nursing and external help. It will be a mistake if we turn our backs to this need. Moreover for the fears of extremism and religious fundamentalism. Nothing is over until it's over. what happen in the past should stay in the past i know most of it is unforgivable but we need to move on. If Bosna is going to be a strong country again we all need to unite and leave the diffrences behind. Just like in our old Jugoslav days. No the "issues" should not be forgotten this time, but rather they need to be dealt with. Once we find a true consensus everything will start to look differently. And, to quote the German constitution:"Die Würde des Menschen ist unantastbar." - the human dignity has priority above other things. Therefore, all the crimes, as far as possible, should be processed, and every individual citizen must be able to consider Bosnia-Herzegovina his or her country. That is the only way to do it. Internally, a solution has to be found.